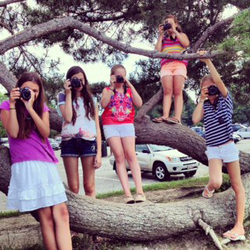 Kelly Mintz will introduce students to their own camera and the specific camera's settings. Plus, how to take better photos by given creative photo tips when photographing, nature, people, animals, and macro photography. The most fun part of this photography class is that students will have an opportunity to go outside (weather permitting) on field trips everyday with the instructor, Kelly Mintz to practice photographing. Field trips are the best way for students to learn. 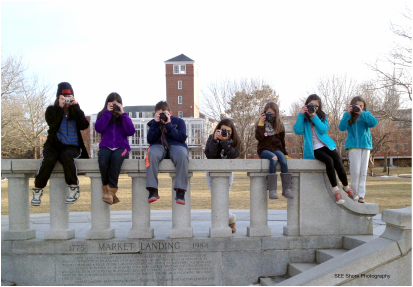 Each class, Kelly and students walk to local and interesting places around Newburyport - Oldies Market Place, Salisbury bridge, antique shops, flowers/trees/ nature, architecture, along the waterfront and downtown Newburyport -ALL SUPER FUN PLACES TO VISIT AND PHOTOGRAPH! Class size is small and limited to 7 students, which allows for individual attention. Kelly is a professional photographer, has a Master’s in Education and over fifteen years experience teaching photography to children and adults. Kelly's style of teaching is that she explains things in a fun and simple to understand way. She strives to teach all types of learning styles and recognizes the value of learning by doing. Photo II is a great class for students, ages 9-14 to further learn the art of photography. After students have learned the foundations of photography in my beginner photo class, they can continue to further learn fun and useful photography topics. Students will learn how to photograph people, both formal and candid style, landscapes/nature, night (time lapse photography) and abstract photography. These are just some of the topics that may be included, but each class is individually designed to meet student's needs & interests. The most fun part of this photography class is that students will have the opportunity to go out on field trips with the instructor, Kelly Mintz to practice photographing. Field trips are the best way for students to learn by doing. These field trips are scheduled everyday to interesting scenic places around Newburyport that the students can walk to and/or parents drop off and pick up at a local spot. Class size is small and limited to 7 students, which allows for individual attention. Kelly is a professional photographer and holds a Masters in Education and over fifteen years experience teaching photography to children and adults. Photo II students practicing low light photography using flash lights and cell phones!